is ‘Your Friend in Southern Minnesota’! KNUJ’s “Full-Service Coverage” of our 13-county trade area helps our business partners reach thousands of our listening family each day. KNUJ’s audience is a 30+ demo…listening for our strong offering of News-Weather-Sports- Ag and Community information…delivered by fun and seasoned announcers. KNUJ is a two-time National Marconi Award finalist (2012 & 2016) that recognizes excellence in broadcasting! We serve the entire region with strong local news and weather, and continue to be rated one of the 5 most listened-to Farm Stations in outstate Minnesota. Country music fills the gaps around our community programming…along with a sprinkle of the area’s heritage polka music! Fun Radio–People Radio! One listener shared that ‘it sounds like a party is going on, and we areallowed to join in when we listen to KNUJ’. KNUJ hosts numerous events year-round that draw many business partners, and listeners….including Player of the Year sports banquets, Job Fairs, Womens’ Expo, Farm Family of the Year Ag Banquet, Home-Town Hero Luncheon, Farm-City Day and Senior Fair. (aka-KNUJ FM) features Classic Hits targeted toward 25-60 year old adults. While SAM is Simply About Music, we supplement our music with timely local informational pieces throughout the day. Announcer chatter is limited on SAM, as the classic hits are the anchor that draws our listeners! Along with carrying the Minnesota Twins, the Minnesota Vikings and the Minnesota Wild on our two stations, our local programming of over 200 New Ulm and area game broadcasts is the core of who we are and why we are looked to throughout the area for local sports and community coverage in Southern Minnesota. 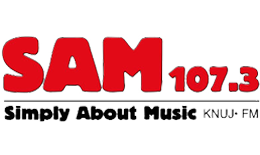 KNUJ AM & FM stream live on knuj.net, and offer our programming on their respective Apps, taking us On Air, On Line, On Demand, and On your Phone…where ever you might be! 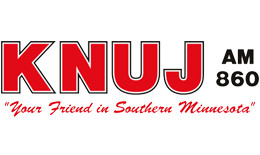 KNUJ.net, is ‘Just a Click Away’, and features local relevant information, photo’s, and video’s for Southern Minnesota, and KNUJ AM & FM that is updated daily! Our Social Media Facebook and Twitter sites also touch hundreds each day….giving us multiple platforms and branding power! Together, KNUJ AM & FM, make up ‘Hometown Radio’, a name in which we take great pride! Ourstations are locally owned by the Ingstad family, and have served our area since 1949!